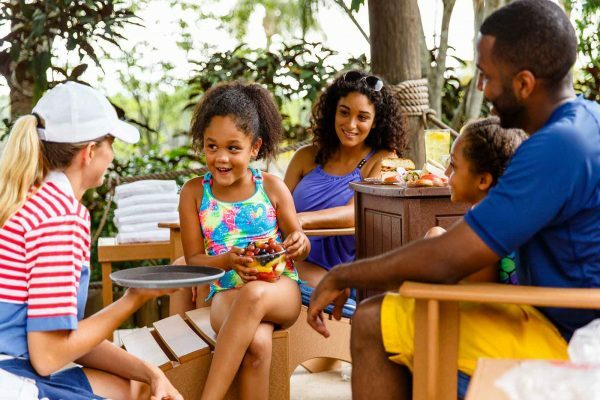 News, Orlando attractions, Orlando travel and vacation planning tips, Theme Parks, Universal Studio's Orlando, Walt Disney World, What's going on in Orlando? 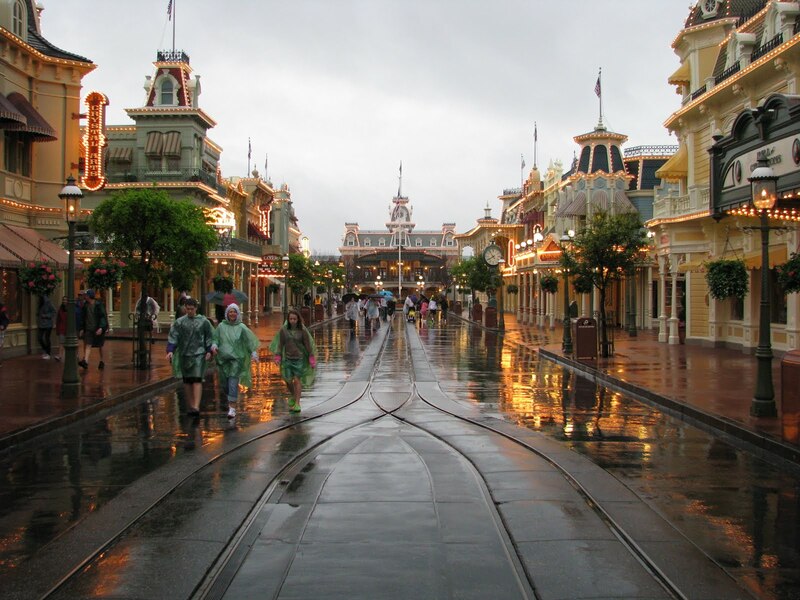 Don’t let a few raindrops spoil your Orlando theme park visit — Disney World, Universal Studios and many of the other theme parks have plenty to see and do even when it’s raining. 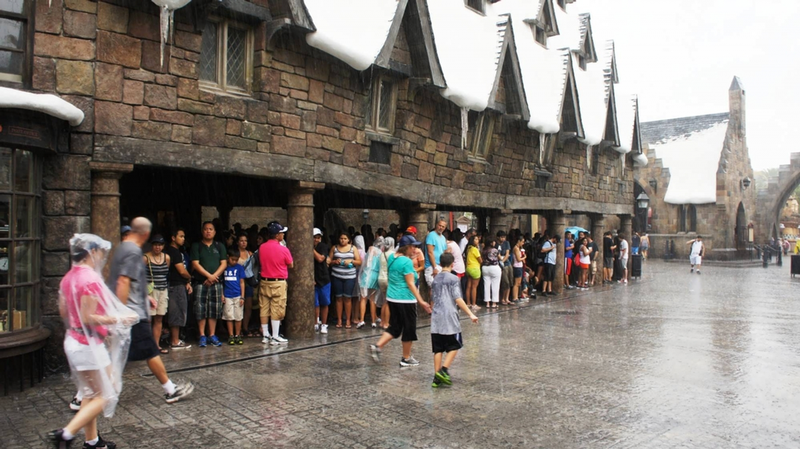 Thankfully, an Orlando rainstorm is generally short-lived with just short bursts of rain, so you can get plenty of fun in dodging the raindrops. One bonus for rainy days at all the parks is small crowds — typically rainy days means fewer people visiting, which means shorter lines and smaller crowds for your visit. Check out these things to do when Mother Nature decides not to cooperate. The Disney Imagineers took into account Orlando’s weather when designing the rides and attractions. From blistering heat to rainstorms, you can still enjoy most of the rides thanks to covered lines and indoor portions of the rides. At the Magic Kingdom, Pirates of the Caribbean, Mickey’s Philharmagic and the Haunted Mansion are all indoor. Try the Land Pavilion (Soarin’, Circle of Life and Living with the Land) and The Seas with Nemo and Friends at Epcot. At Hollywood Studios, Art of Disney Animation and Frozen Sing Along are good options. Magic Kingdom: Splash Mountain, Big Thunder Mountain, Jungle Cruise, Magic Carpets of Aladdin, Dumbo the Flying Elephant, Tomorrowland Indy Speedway, Liberty Belle Riverboat, Astro Orbiter and Swiss Family Treehouse. A rainy afternoon is a great chance to try one of the many delicious restaurants you might avoid because of crowds or because you’re focused on getting in as many rides as possible during a regular day. Grab a late lunch or early dinner at crowd favorites like Be Our Guest, Sanna and Hollywood Brown Derby and stay dry until the weather passes. 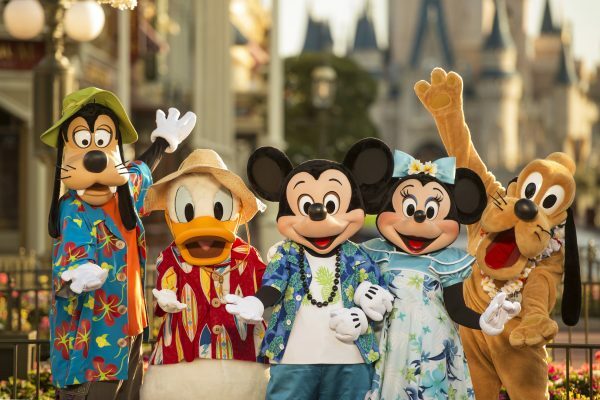 Meet and greet your favorite characters at indoor locations like Mickey’s house and Toontown County Bounty at Magic Kingdom and Character Connection at Epcot. Epcot is one of the best parks to visit in the rain as nearly every attraction is indoors, while Animal Kingdom is one of the worse, as the rain and lightning closes most of the outdoor attractions. Just like Disney World, Universal Studios stays open in the rain and has plenty to offer indoors. The designers of Universal Studios also did a great job designing the rides, with lots of shade and cover as you wait. The line and ride for Harry Potter Escape for Gringotts is entirely indoors, as is Revenge of the Mummy and Men in Black: Alien Attack, among many other rides. At Islands of Adventure, snag a seat in the Hog’s Head Bar at the back of the Three Broomsticks in Hogsmede. Not only can you grab an adult beverage if you’re of age, you can also charge your phone and enjoy some yummy Harry Potter snacks while you wait out the rain. Speaking of Harry Potter, if you’re a fan, you can’t miss a ride on the Hogwarts Express, which takes you from Universal Studios to Islands of Adventure and back again. It runs rain or shine, giving you a taste of the trip from London to Hogwarts that Harry and his friends took each year. Universal Studios has so many incredible rides that often the live shows get overlooked. A rainy day is the perfect chance to enjoy one of these Vegas-calibur shows like The Eighth Voyage of Sinbad Stunt Show or Poseidon’s Fury. Universal’s City Walk is home to numerous delicious dining options, including Fusion Bistro Sushi and Sake Bar, Toothsome Chocolate Emporium and Savory Feast Kitchen and Cowfish. Grab a bite to eat and a drink while you you wait for the clouds to clear. Bring a poncho — it’s not only useful for when it rains, you can also wear it to ride water rides like Splash Mountain and Jurassic Park River Adventure. 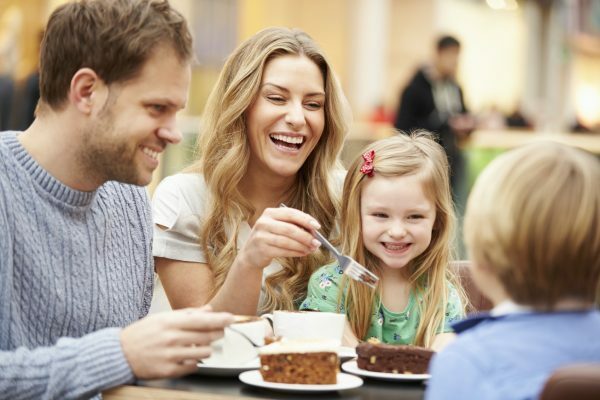 Pack plastic bags and stroller covers — you’ll want to protect your valuables, so bring plastic bags for your phones and electronics and stroller covers to keep the diaper bag and kids dry. Hit the waterpark — you’re just going to get wet anyway, so you might as make a trip to the waterparks on rainy days. Unless it’s lightning, most of the water parks like Universal’s Volcano Bay and Disney’s Blizzard Beach stay open in the rain. Spend some time back at your vacation rental. Many of Casiola’s vacation rentals have pools where you can swim in the rain under the cover a lanai. A lot of the rentals are stocked with game rooms or board games and all have flat-screen TVs to make rainy days fly by. Do I need a (rental) car in Orlando?